With thanks to greaterauckland.co.nz for the repost. Sitting in the back seat during the driving lessons this year was an educational experience for me. Be careful when driving past parked vehicles. Pedestrians may walk out without warning. This learner driver was being taught to focus more on the road ahead of him, and less on anything happening between the parked cars or on the footpath. Coupled with his inexperience, he was having to drive at a speed that could easily result in a nasty crash with a pedestrian. Although speed variance within a traffic flow exists and is often cited as a concern, the degree to which speed variance contributes to crash involvement is inconclusive. However, the link between speed and injury severity in a crash is consistent and direct. If ‘road and traffic conditions’ include parked cars hiding children, or people made invisible by reduced peripheral vision, that was certainly not how the instructor and examiners were interpreting it. I wondered how speeds that keep people safe could be compromised for someone else’s ‘convenience’. [your speed is low enough to follow the safe speed guidelines.] There are no requirements to drive close to the speed limit. receiving a critical error for travelling 10 km/hr below the speed limit. 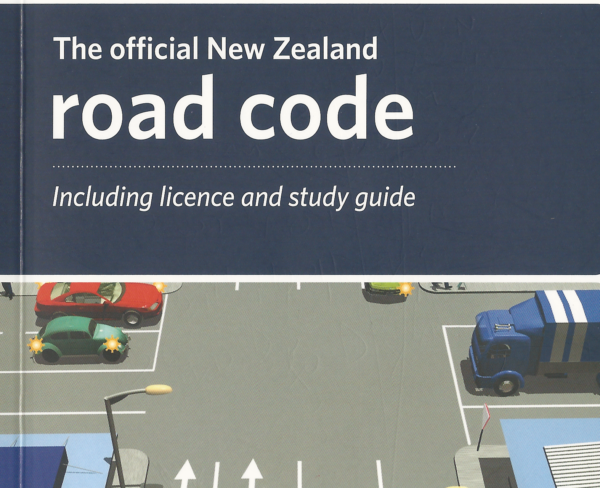 the practical test guide and NZ Road Code are two separate documents. The test guide is information on the tasks you will be assessed on and what you need to do to pass the practical test. The Road Code provides recommendations on safe driving practices, this is general information to help you learn to drive and to ensure you drive with due care and consideration of other road users. The practical test guide then goes into further detail to explain, how in the context of the test, these recommendations should be put into practice. How does the requirement to drive close to the speed limit give “further detail” to not having to drive close to the speed limit? As successful driver applicants are required to drive within a narrow band around the posted speed limit, it is important that the posted speed limit is safe and appropriate. Are you able to tell me what percentage of NZ roads have posted speed limits that align with NZTA’s safe and appropriate speeds, according to whatever measure the NZTA does use? Remember, too, that the “safe and appropriate speeds” were set by NZTA before the current government’s interest in Vision Zero; they’re almost certainly too high. Driving 10 km/hr or more below the speed limit may in fact be far closer to a safe speed on most of our roads. Yet, to gain a driving license, learners must drive within a narrow band of speed around a limit that NZTA know is not safe, and not appropriate, on at least 87% of our roads. 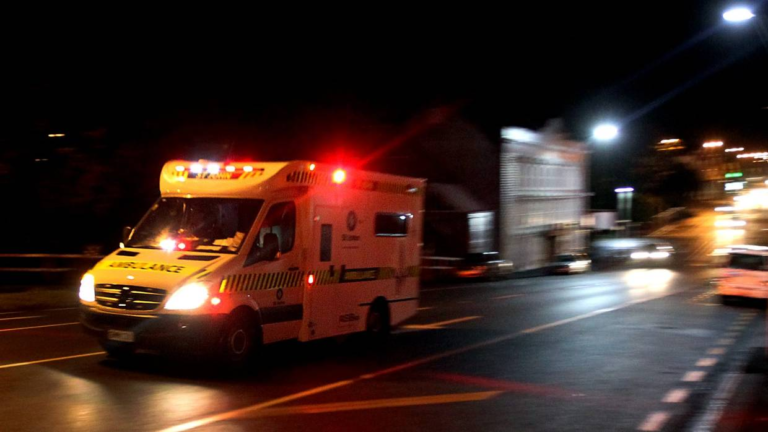 Drivers on a restricted licence are seven times more likely to be involved in a fatal or serious injury crash than other drivers. Data also shows that young restricted drivers are more at risk of having a serious crash in the first six to 12 months of driving solo on their restricted licence than at any other time in their lives. This increased risk is partly due to driving inexperience. A society that values human life would find a way to mitigate this increased risk. 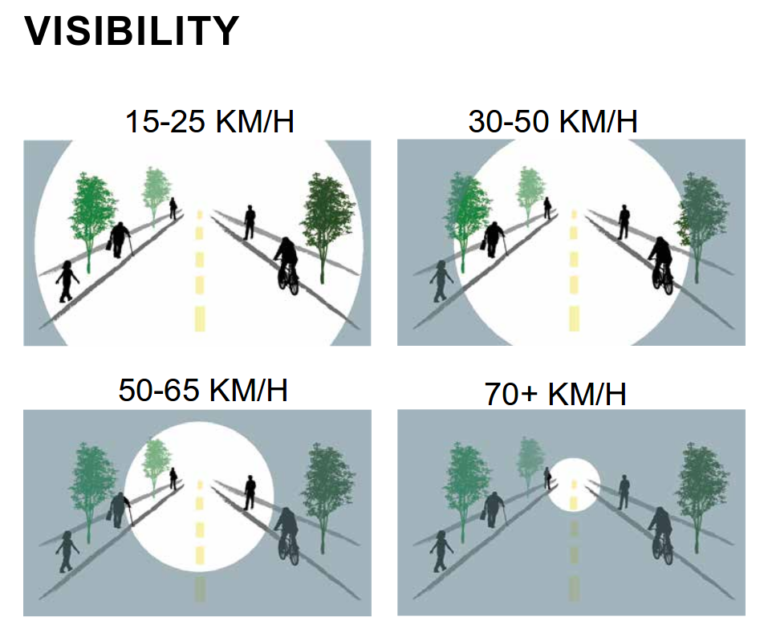 Requiring and supporting lower speeds would be a way to scaffold learning to drive in a way that keeps a focus on developing good awareness of vulnerable road users and on what’s happening in the peripheral vision. It might be that advertising campaigns have been effective on the younger group and a generational acceptance of slower speeds is occurring. Instead of building on youngsters’ higher awareness around speed, the Driver License Test Guide seems to be designed to make drivers override that awareness. I believe the guide has contributed to a culture of speed and disregard for vulnerable road users. It has resulted in instructors training drivers to drive faster than is safe, and to ignore activity in their reduced peripheral vision at higher speeds. There is no basis for the guide to make driving too slowly a critical error. Now this change needs to be reflected in driver training and licensing. The laissez faire regime has been overturned – Transport Minister Phil Twyford says the review covers everything the agency is in charge of, including driver testing, licenses… It comes after agency chief executive Fergus Gammie publicly confessed a raft of public safety failures in recent weeks and months… It will consider if new laws are necessary and cover governance, leadership, operational policy and practice, regulatory intelligence, people capability and capacity, and the balance of education, engagement and enforcement. Government: There are a number of ways drivers could be required to develop more awareness and care of vulnerable road users; this error around speed in the Driver License Test Guide being just one of several. 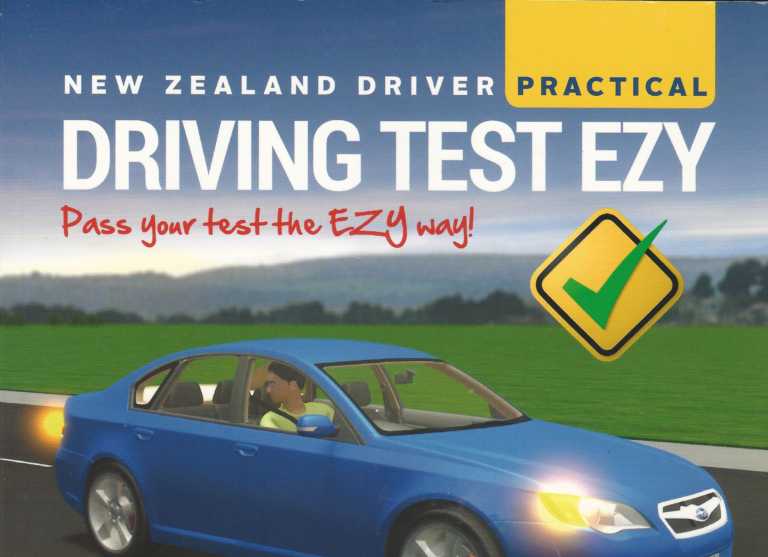 Between the work being done by the Road Safety Strategy Reference Groups, and the review of the NZTA, I hope this change to the test guide can be accommodated. Allow learner drivers to drive at slower speeds, as per the Road Code, as per Vision Zero principles, and in line with the GPS, when they’re being tested for their licenses. With grateful thanks to Greater Auckland. Original post here. Is Wellington really all that walkable? How’s your road rage when it comes to speed? Can we give the streets back to the people please? All other image credits within original post.